Hanna Instruments is proud to introduce the world’s most innovative DO meter: edge®. edge’s groundbreaking design is the culmination of Hanna’s vision, design capabilities, integrated production and world class R&D. 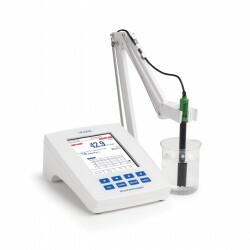 edge is a single meter that can measure Dissolved Oxygen and is incredibly easy to use. 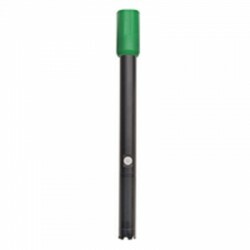 edge® utilizes a ½” diameter Clark type polarographic DO probe with replaceable PTFE membrane caps. This small diameter probe is ideal for many applications including those that require in situ DO measurement such as in a wine bottle. edge® Dissolved Oxygen is packed with many cutting edge features to ensure accuracy and usability. 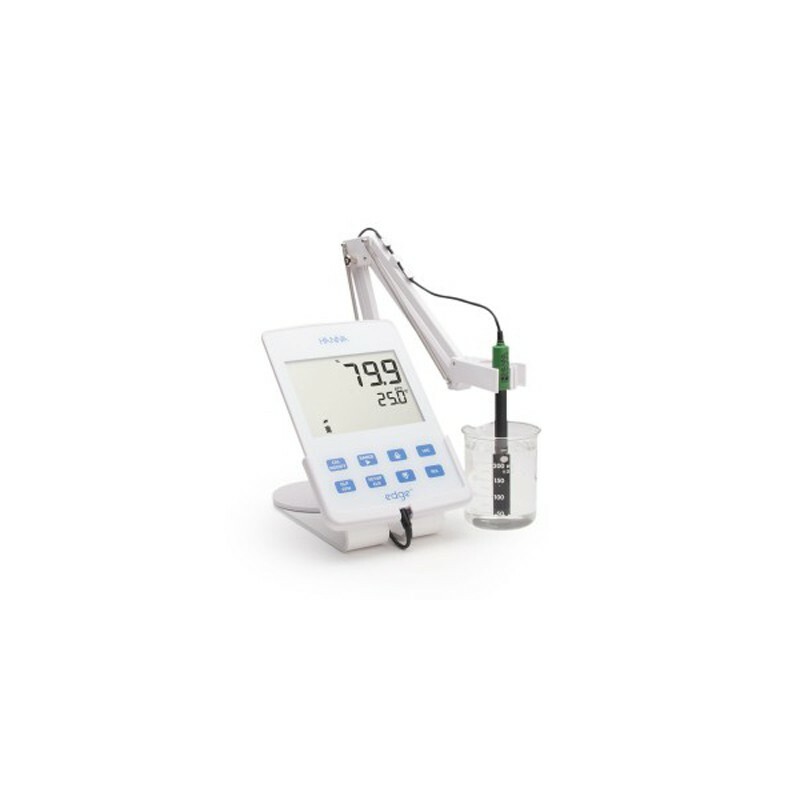 edge® DO probe is highly advanced, featuring a built-in microchip that stores calibration information that is automatically retrieved by edge once the electrode is plugged in. Information stored in the electrode include model number, serial number and calibration information including the standards used and the date and time the last calibration was performed. edge® HI764080 DO probe has an integrated temperature sensor incorporated into the thin ½” PEI body for automatic temperature compensation of dissolved oxygen measurements. The HI764080 probe uses screw on replaceable caps with a PTFE (Polytetrafluoroethylene) membrane that is easily replaced in the field as well in the lab. 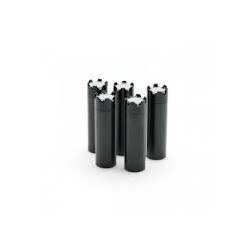 The supplied HI7041S is a concentrated Potassium Chloride fill solution used with the Clark type polarographic technology. With this technology an external voltage is applied to the platinum cathode and silver anode to establish a current that is proportional to the concentration of oxygen in a solution. edge® is equipped with a benchtop cradle with an adjustable swivel electrode holder to charge and hold the edge securely in place at the optimum viewing angle. edge® includes one standard USB for exporting data with a flash drive and a second micro USB port for you to connect to a computer for file export and for charging your edge when the cradle is not available. edge® allows you to store up to 1000 log records of data. Data sets include readings, GLP data, date and time. 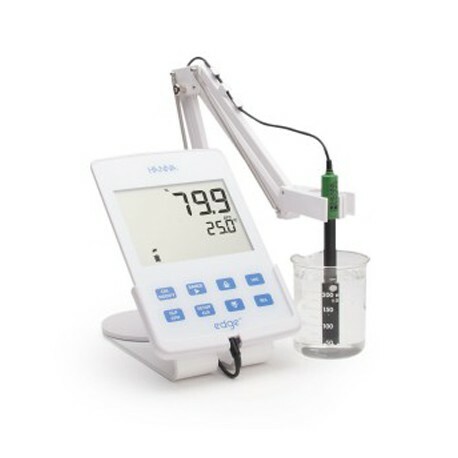 edge® HI2004 includes benchtop docking station with electrode holder, wall mount cradle, USB cable, HI 764080 Dissolved Oxygen electrode, HI 7041S Refill electrolyte solution, 2 DO membrane caps, 2 DO membrane cap o-rings, 5 VDC power adapter, and instruction.